In 2017, Weber introduced a revolutionary upgrade to their Genesis II series of grills known as the Weber GS4 Grilling System. 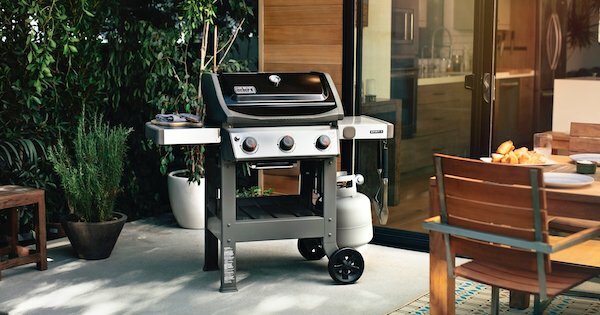 The GS4 System was rolled out as part of a larger line overhaul that radically redesigned both the Spirit and Genesis series of gas grills. Open cart models were introduced in both lines, dramatically changing the aesthetics of many models. 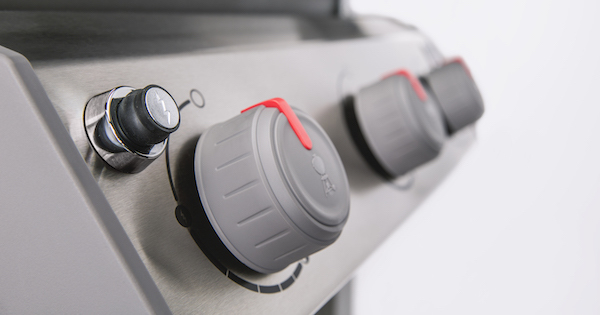 However, the Weber GS4 Grilling System offers a lot more than just a change in design aesthetic. Weber is an industry leader in gas grills and they offer a complete lineup of grills to meet every budget. Weber's GS4 system is just one of many outstanding features offered in Weber grills. In 2019, they've focused on updating their Genesis II line, but the GS4 grilling system is here to stay and is still ahead of the pack if you're looking for a reliable, durable grill. To learn more about Weber's model lineup, read our full article, Weber Gas Grills - Everything You Need To Know. 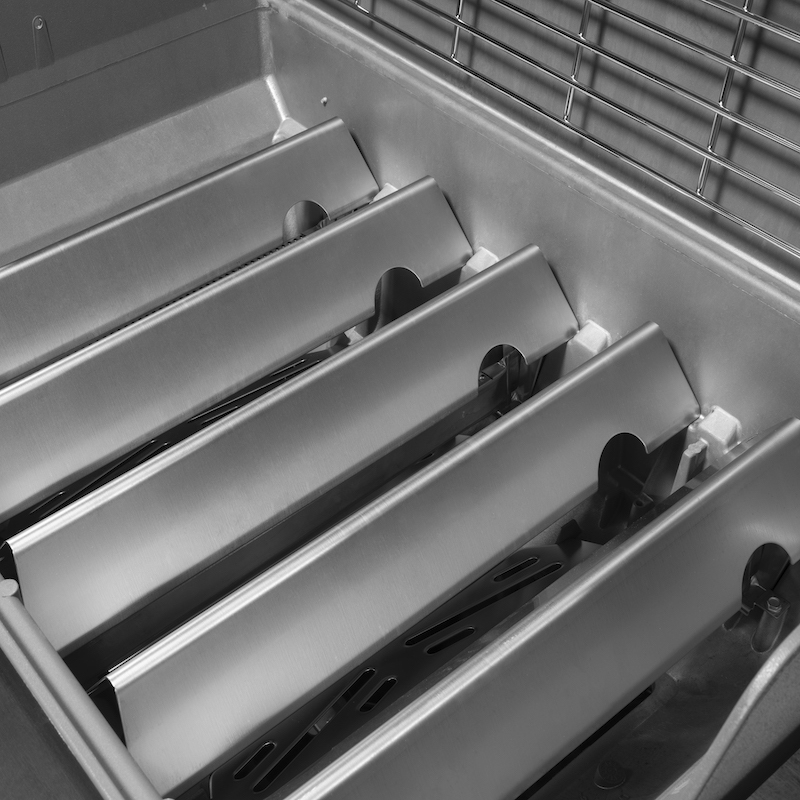 Weber Flavorizer Bars are one of the most important features of a Weber grill. Flavorizer bars are tent-shaped pieces of metal (stainless steel or porcelain enamel, depending on the grill model) that sit below the grilling grates and above the burners on your Weber grill. 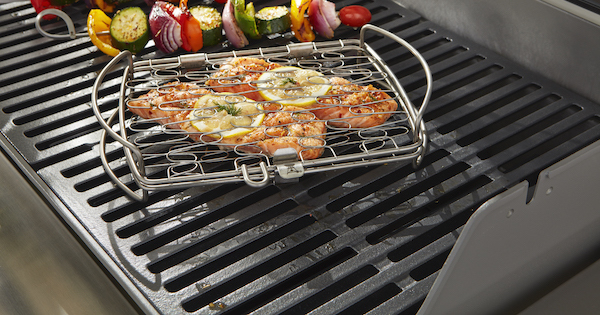 They serve several important functions including protecting and extending the life of your grill's burners and enhancing the flavor of your grilled foods! When you are looking for your next Weber grill, there are lots of features and options to consider with the different Weber models available. One of the most visually obvious choices is whether you want stainless steel cooking or cast iron grill grates on your main grilling surface. There are pros and cons for both options and it might come down to a matter of personal preference. Grilling has become more popular these days as families and friends find comfort in cooking outdoors for one another and some find it a relaxing change in routine from the daily grind. But a grill that's seen better days can stress you out even more - Won't ignite? Burner knobs broken? Cooking grates rusted? Lid falls off? Even though you don’t want to part with your trusty old friend, there are new grills out there that will provide much more enjoyment for you and your family and friends. Go ahead, treat yourself and your loved ones to a grill of your dreams - one that won’t need to be bandaged up before you can make dinner. In this blog we will talk about the features and differences of two industry-leading grills from Napoleon and Weber. 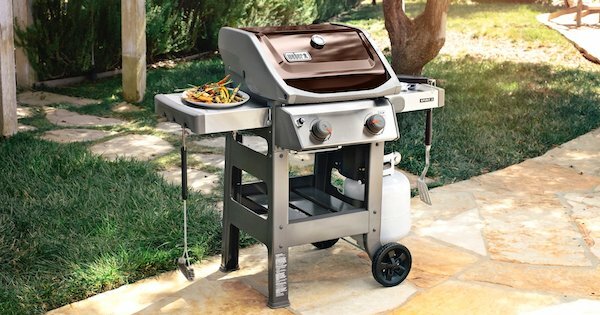 These are top-of-the-line models with a ton of great features and grilling power! Napoleon and Weber are two companies that specialize in making high-quality grilling products for the home. If you are looking for quality, features and performance, these are two companies that you can depend on for great results and longevity. Both companies offer grills in a variety of price ranges, sizes and feature packages to take care of the needs of most families. If you love grilling and want to be creative and produce great meals, it helps to have the right product to work with. Weber and Napoleon will give you just that. Let’s compare two of their best selling mid-priced models to see which one might be right for you. It's Napoleon vs Weber, head to head! Weber Spirit E-310 vs Genesis E-310 - Which Should You Choose? Weber grills have a dedicated fan following, beginning with their invention of the original round kettle grill in 1951. 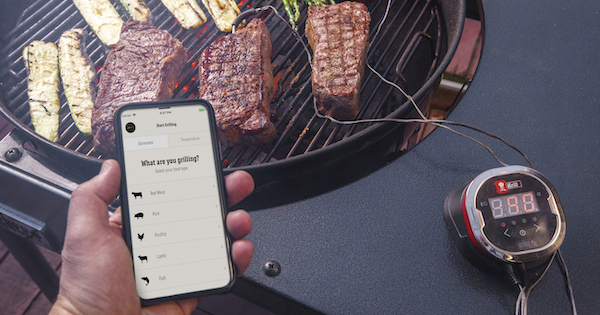 They've made a name for themselves by listening to customer feedback and constantly improving their grill designs while keeping their pricing transparent. If your old gas grill has kicked the bucket or is about to, you may be curious about Weber gas grills and how to choose the right model for you. The Weber Spirit E-310 is one of their most popular models, but how does it compare to the upgraded Weber Genesis E-310? 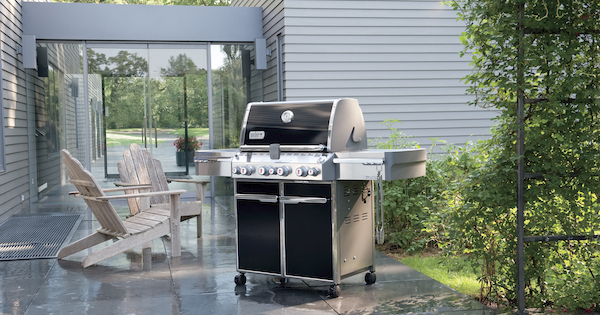 In this article, we'll compare these two Weber gas grills and their many great features. Of course, these models aren't all that Weber has to offer. To learn more about Weber and their grills, check out our article: Weber Gas Grills - Everything You Need to Know. Weber Dealers - Where Are the Best Places To Buy? Looking for Weber gas grills and trying to find authorized Weber dealers? There are many different places across the US where you can find Weber grills sold. Authorized Weber dealers range from small mom and pop appliance and hardware stores to regional retail chains to national big box home improvement and general merchandise retailers. In this article we'll discuss some of the various options you have in looking for Weber dealers, discuss why all dealers are not created equally and help you to find a dealer in your area that suits your needs. If you want to learn about Weber's full line up and why they have such a dedicated fan following, check out our article: Weber Gas Grills - Everything You Need to Know. It will help you navigate Weber's entire model line up. If you're looking for an awesome entry-level grill you can buy without breaking the bank - we've got a great choice for you. In this Weber Spirit E-210 Review, we'll cover everything you need to know from features to prices to colors. This Weber model is a two-burner grill so it is ideal for small households or those with a small deck or patio area that need to fit their grill into a compact space. Weber is one of the best-known gas grill manufacturers anywhere. They build quality grills and back them with an excellent warranty. Let's dive into the details of this Weber Spirit E-210 review. If you decide you like Weber but this grill isn't for you and you want to learn about Weber's full line up, check out our article: Weber Gas Grills - Everything You Need to Know. Weber Accessories - Jewelry for your grill! 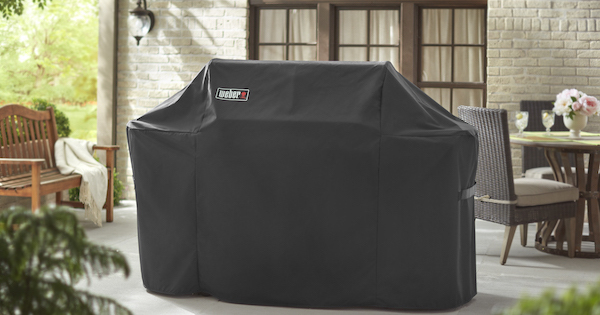 If you love your Weber grill and are looking to take your grilling to the next level, you'll want to read this article to learn more about the awesome Weber accessories available to you. These accessories can help protect your grill, clean your grill, enhance the food you cook and just generally make your grill and grilling experience more awesome! In this article we'll cover all of the major categories of Weber accessories, complete with photos and price info. To learn more about Weber's model lineup of grills, read our full article Weber Gas Grills - Everything You Need To Know.